The teen years can be some of the hardest times in a child’s life. A changing body and growing responsibilities from school, a part-time job, friends, and relationships can put a lot of pressure on teens. Between driving, dating and thinking about the future, teenagers have more on their minds than we might think. Throw in the physical aspects of puberty like acne, growth spurts and a developing brain, and you’ve got a recipe for a developmental roller coaster (for kids and for parents)! 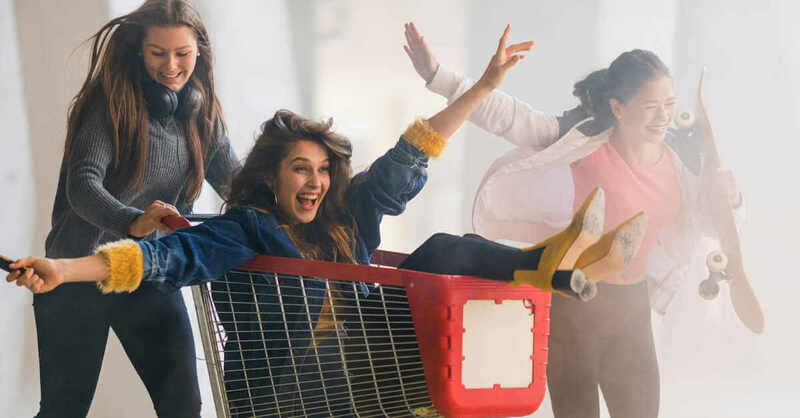 As tough as the teen years are, they can also be some of the most memorable times in a person’s life, full of new experiences and exciting new responsibilities. You can help your teen navigate these challenging years by being a supportive parent, and being willing to listen and understand your child’s struggles. And while there isn’t a simple answer for most teenage trials and tribulations, there are some natural ways to promote overall health and wellness during this tumultuous time. Essential oils can be beneficial for an array of issues experienced by teens. From waking up in the morning to concentrating on studying for the SATs, there are essential oils to help your teenager make the most of this challenging, yet fantastic, time of life. If you have a teenager, take a look at the essential oils guide below! We’ve included some of the most common teenage life changes, and the best essential oils to help them get through it–naturally. With so much else happening in their lives, homework can easily make it to the bottom of your teen’s priority list. Encourage them to enjoy their study time and get ahead of their classmates by providing them a quiet place to study at home, and then add some essential oils to the diffuser that promote the power of their mind. Aromatherapy has been used by scholars since the time of the Ancient Greeks, and they can help your teen with things like memory, focus, and concentration. Rosemary: Students and scholars in Ancient Greece would hang wreaths of Rosemary in their study rooms because they knew the benefits it provides for mental clarity and memory. Studies show the invigorating herbal aroma of Rosemary can have a positive effect on cognition and can improve the speed of learning while improving long-term memory. Add a few drops of Rosemary essential oil to your diffuser anytime your teen needs some serious focus to give them a boost. Waking up for school is hard for many teens because of their biology. Teens need even more sleep than adults to perform at their best! Peppermint: Peppermint essential oil can have a rejuvenating effect on most people and can be especially helpful for jump-starting the teenage brain in the morning. Studies show that peppermint can help reduce mental stress, help with focus and assist in keeping you on task. Have your teen add a few drops of Peppermint essential oil to a cloth and hang from the caddy during their hot morning shower to invigorate their senses and stimulate their brain. Lemon: Getting out of bed in the morning is hard for teens, and loading up on caffeine might isn’t always the best remedy. Luckily, citrus fruits have a fantastic ability to help perk us up. Lemon essential oil is a potent aromatic that can squash drowsiness and promote motivation. It can also help promote feelings of happiness so your teen can make the most of the entire day with a good attitude. During the teen years, we’re hyper-aware of the way we look and how other people see us. Appearances can be incredibly important to teens, but their hormones can cause issues such as breakouts or oily skin and hair. If your teenager is suffering from problem skin, encourage them to wash their hands throughout the day, wash their face before bed, use the right skin products, not to share makeup and incorporate the right essential oils into their routine. Oh, and add in a few of these essential oils too! Lavender: Excellent for both skin and hair, Lavender is a powerhouse essential oil. Adding a few drops to your favorite carrier oil and massaging the mix into the head is a great way to help soothe an embarrassing, dry, flaky scalp. When added to natural cleansers and moisturizers, Lavender can help keep skin soft, hydrated and clear. For the scalp, a 2% dilution of Lavender is safest, but for facial application, a 1% dilution is recommended. Tea Tree: There’s a reason so many top-selling beauty products contain Tea Tree–it works! Tea Tree essential oil is excellent for the skin, especially when added to cleaners. It can help keep pores clear, prevent blemishes and keep oils at bay. It’s also great at fighting body odors when used with a body wash at a 1-2% dilution, and can keep your teen’s feet healthy and free of itchiness and irritation. According to the American Psychological Association, American teens are now just as stressed out as adults. Between the pressure of getting into a good college and making the right career choices, it’s easy to see why. The choices teens make today can have a serious lasting impact on their future, and they know it. 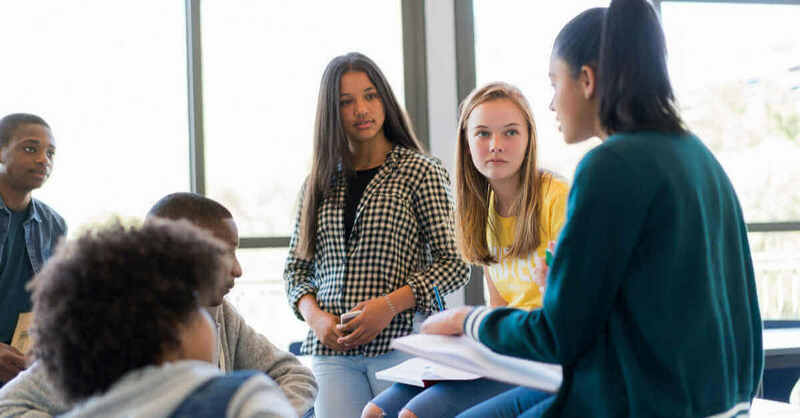 All this tension can impact a teen’s long-term mental and physical health. Signs of severe stress in your teen are abrupt emotional changes, behavior changes, and physical changes. Bergamot: Bergamot essential oil is one of the most popular oils to use in aromatherapy for dealing with stress. Almost all the studies conducted between 2009 and 2013 show Bergamot oil as a useful tool for promoting everything from feelings of happiness and ease to a healthy nervous system. Chamomile Roman: This oil has long been a favorite herb for helping to calm the digestive and nervous system. Chamomile essential oil can help promote positive feelings of relaxation and ease while helping to sooth the stomach during times of teenage stress or anxiety. This oil is perfect to massage into the skin with a carrier oil. For digestive upset, we suggest a 2-3% dilution, massaged on the stomach. For stress, I would suggest a 2% dilution applied to the wrists, chest, or back of the neck. 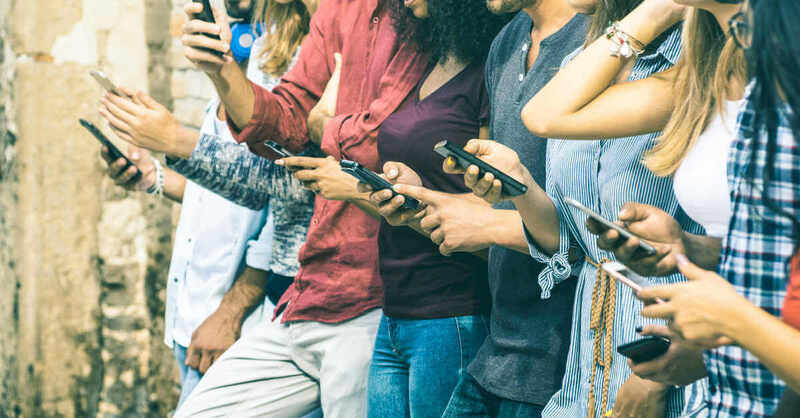 What helps keep teens happy? Tons of things! Proper nutrition, enriching relationships, physical activity, and fun hobbies are just a few. But like adults, happiness can be hard to pin down. 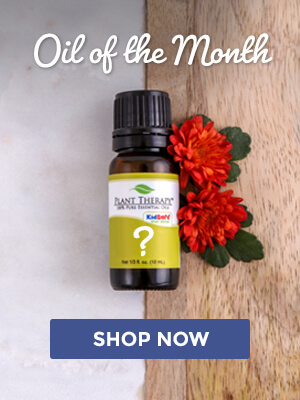 With the use of these two essential oils, you can help promote feelings of joy and excitement, even on those days when things don’t seem to go their way. Orange: This essential oil is a favorite for its uplifting and mood-boosting properties. It can simultaneously help make you feel cheerful and calm, making it a great choice when your teen wants to feel happy and relaxed. Keep Orange essential oil on hand to use in your household diffuser, and add it to your all-natural cleaning products to keep the house smelling fresh and cheerful. Try using Orange essential oil in your teen’s bathroom to promote feelings of positivity when they check themselves in the mirror. Jasmine Absolute: Not only does Jasmine essential oil help promote feelings of happiness, but it can also help with much-needed self-confidence during the teen years. It smells lovely and can help “warm” the emotions, helping your teen feel good about themselves and their ability to take on the world. Nobody likes getting sick, but for teenagers, it can spell disaster if illness means a missed test or a school event. 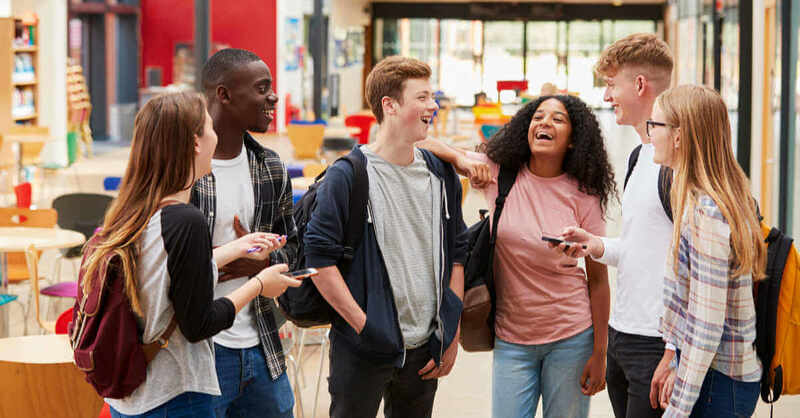 Teens can easily fall victim to seasonal threats that are airborne, or on surfaces at school, and things like changing hormones and a lack of sleep can hinder their immune systems. Clove Bud: Clove essential oil has many health benefits, but its the ability to help boost your teen’s immune system that’s really impressive. Clove can fight off seasonal threats, and help keep surfaces we touch free from germs. Eucalyptus: This oil is famous for its ability to support a healthy respiratory system, especially during challenging seasons. Eucalyptus essential oil can help keep your teen’s airways feeling clear and open. This oil is also a great choice to use in a hot shower or facial steam to stimulate a healthy immune system and clear respiratory functioning. Teenage athletes train hard, and their growing bodies can use all the recovery support they can get! Proper hydration and nutrition are important for your teen who participates in sports, but we can’t always be there to make sure they’re getting it right. When they do get home, we can offer them a few essential oils to aid with sports recovery, and help keep their bodies ready for the next training session. Marjoram: This oil is a favorite among athletes for its ability to help boost post-workout recovery. Majoram can calm and soothe tired muscles and works great when massaged into the body or added to a warm bath with by diluting to 2% in a body wash, bubble bath, or an emulsifier. Just remember to mix your oils with the body wash before adding to the bath, to avoid oils sitting on top of your bath water. You as a parent know how important sleep is for healthy mental and physical development, but busy schedules and raging hormones can get in the way of a reasonable bedtime for teens. Ylang Ylang: This essential oil has a lovely tropical aroma that can help put an active mind and body to rest. Ylang Ylang essential oil can also help put your teen in the mood for sleep faster, and help promote quality rest throughout the entire night. Its gorgeous scent will also keep your teen’s room smelling pleasant, an added bonus! We always recommend a max dilution of 0.8% if applied topically. Cedarwood: Cedarwood essential oil is a grounding essential oils, which makes it a great choice to help your teen get the rest they need after a busy day. This oil has a woody scent that can be comforting as well as beneficial for the circulatory system. Cedarwood is an excellent choice for use after a stressful day to promote peace of mind and feelings of relaxation before bed. As a parent, you do everything you can to help you teenager succeed during this challenging phase of life. 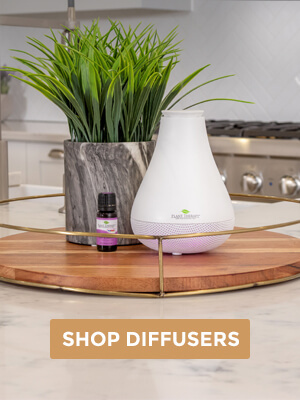 Essential oils are a great tool to introduce to your teens during this time in their lives because they learn more about there are natural and healthy ways to deal with things like stress–rather than acting out or turning to drugs or alcohol. 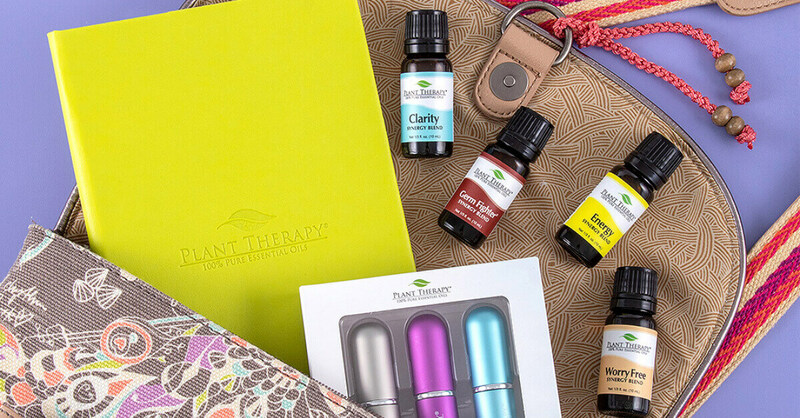 Teaching your teen how to use essential oils on their own when they need some help is a great way to empower them, and to educate them on how to take their health and happiness into their own hands. Used Marjoram as suggested in this post to help my daughter with post workout recovery. She dances many hours each week for recreation and competition. Her muscles and feet get achy. Marjoram really helped relieve the achiness. Also helped my husband to recover quickly from a strained shoulder. Thank you for this post, as we are less than 6 months from turning 13 and starting to deal with the teenage issues. I’m going to print this out and hang it on the fridge! Well this is a big year for my family. I turn 40 and my daughter turns 13 20 days later! AHH! I have been doing some reading on teen health and wellness. Thanks for the info on this blog. My daughter has lots of fun helping me make homemade products with your oils, too! This blog is a legit god send. Navigating life with my teen can get so interesting. She is a firm believed in essential oils and other things with an earthy vibe. So grateful I now have a teen how to oil guide!!!!! Such helpful info. I have one teen, one almost teen and three tweens. I plan to start arming them with some oils for the various issues they are encountering. Thanks!! Thank you for this article! My kiddos are embarking upon the teen years. They are also developing an interest in EOs and how they can help in daily life! I will be printing this out for their EO binders (their own creation, just like their recipe books for food, they are creating a *recipe* book for EO uses!). This is such a helpful article! Thanks you! I really like the Ylang Ylang oil for rest idea. My teen does struggle with that from time to time. Also, I will definitely be trying the Rosemary for focus! I homeschool and focus is an ongoing struggle, especially with 3 children in the mix. I’m excited to see how this helps her! Thanks! 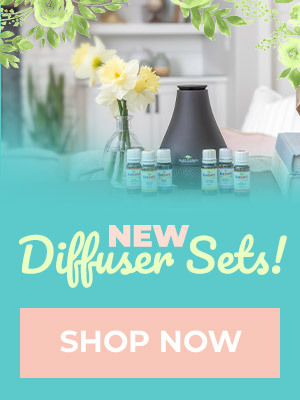 My teen daughter asked for her own diffuser, so I will send her this link as well! Thanks for a great article. These are some helpful tips. Thank you. I’ll be giving the rosemary a try for homework help as well as some of the others. I really love this blog post, it is helpful since I have a teen that struggles with these things. I will definitely be using these tips, thanks! Thank you for this info. My teen is starting to show interest in eo’s now. So much great information!! Thank you!!! Thanks for the great information! I will definitely be using it- super helpful. These are all great tips! I am going to try some for myself‍♀️. Thank you! We are looking forward to applying this new knowledge. As a mom of two tweens, I just want to say thanks for this great info! Thank you so much for this! Any recommendations for how to combat teen boys’ body odor and stinky rooms/pillowcases?? I’ve got a preteen on my hands. Bookmarking this! I will be making a roller of Marjoram for my daughter to put into her soccer bag. After her tournament this past weekend she was so sore and beat up, this would have been a life saver. This is amazing information! Thank you, I’m always trying to find ways to help my teenagers. Spearmint oil is also good to help wake up!